The webcast from an event held at Kenrose Elementary School in Brentwood featured Tennessee Gov. Bill Haslam, U.S. Secretary of Education Arne Duncan, and Education Commissioner Kevin Huffman. 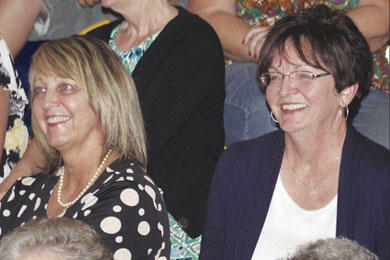 Many of the 169 schools celebrated by tuning in for the webcast, including students, faculty, parents and Cannon County Schools officials who gathered in the gymnasium at East Side Elementary. "This is certainly cause for celebration," East Side Principal Karen Wimberley said. "We are so proud to be part of this announcement and to be recognized as one of the state's 'Reward Schools' for academic progress." A loud applause erupted throughout the gymnasium when East Side's name scrolled across the bottom of the screen. 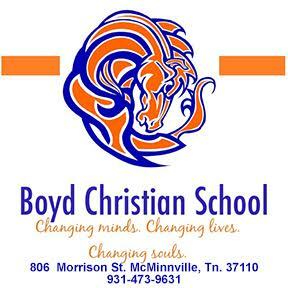 It was one of 169 schools garnering recognition as a 2011-12 Reward School, representing the top 5 percent of schools in the state for annual growth and the top 5 percent for academic achievement. East Side was one of 40 schools statewide to earn designation for rising to the top 5 percent for annual value-added growth while also ranking in the state's top 5 percent for overall achievement. "East Side Elementary has been a high achieving school for several years," Cannon County Director of Schools Barbara Parker said. "My congratulations, first, go to students who view their education seriously and daily rise to the tasks set forth by their teachers. Second, I congratulate the teachers who diligently prepare the lessons that teach the state standards and challenge the students to rise to their potential. Thirdly, I congratulate the administrative staff and support staff for their dedication to the total well- being of each child. "Finally, congratulations to the parents who make sure their children are present at school and ready to learn. There is much more work to do to insure that the 2012-13 year is as successful as the previous one, but I am positive that East Side School will meet the demands of another academically challenging year." The 2011-12 Reward Schools made these impressive accomplishments during a year when Tennessee saw unprecedented gains on the statewide Tennessee Comprehensive Assessment Program (TCAP). As schools across the state made improvements and reached higher levels of proficiency, the 169 Reward Schools led the way. "Tennessee is leading the way in education reform, and these schools demonstrate two key focuses of education in our state: high levels of achievement and continuous growth," Haslam said. "Job creation and education are inextricably linked, and continuing our momentum in education reform is important as we work to make Tennessee the No. 1 location in the Southeast for high quality jobs. We are proud of the teachers and staff at each of these schools and excited to recognize their efforts on behalf of Tennessee students." Tennessee has set out to become the fastest- improving education system in the country by raising student performance each year. Former East Side Principal Karen King, who transferred to West Side Elementary prior to the 2012-13 school year, set such measures were taken at East Side during recent years. "East Side has a history of good test scores and teachers who work really hard to make sure that happens," King said. "To help with this process, one of the things we started was creating learning plans for every student. We would use TCAP scores from the previous year and identify not just the students who weren't succeeding, but the reporting categories where they showed deficiencies." Learning plans enabled teachers to start the school year knowing exactly which students had needs and they areas they should focus on to gain ground in those specific areas, King said. "Teachers used formative assessments that were given periodically throughout the year to determine if the students were making gains in those areas, or if more help was needed to close those gaps," King said. King said a "no zero policy" also aided students. "Students were not allowed to make zeroes, which meant that all work had to be turned in and done correctly," King said. "This created a lot of extra work for the teachers, but also set high expectations for the students." The policy helped students who may have failed before to not only increase their grades, but also grasp the concepts. "I always wanted the students at East Side to know that I cared about them as a person ore than them as a test grade," King said. "I also want the teachers and students to know how proud I am of them, and how much I enjoyed being their principal. They didn't exceed my expectations because I always knew they were great."